Voice actor Nolan North, perhaps best known as the roguish Nathan Drake, has teamed up with fellow voice actor buddy Troy Baker (Joel from The Last of Us and a great Joker) to do a Let’s Play of Uncharted. This incredible, pure-hearted playthrough of the first Uncharted is available on the pair’s YouTube channel, Retro Replay. It really is everything you’d want from Nolan North literally playing with himself while Troy Baker watches on. Troy Baker appeared alongside North in the final Uncharted game as Nathan’s long lost brother of course, but he was a huge fan of the games long before he appeared in one. North on the other hand, hasn’t really played through them before. As you can imagine, much hilarity ensues. The episode is a genuine joy. 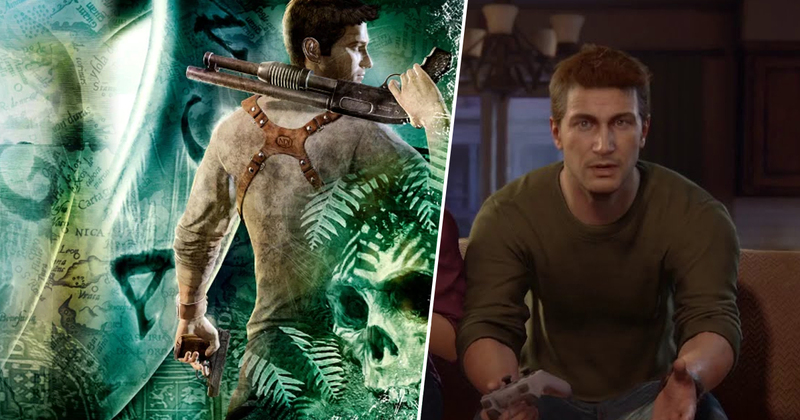 North spends most of it scraping through the levels while occasionally revealing a few interesting tidbits about what it was like to work on the beloved Naughty Dog franchise in the early days, such as North’s fear that Elena was going to be killed off, and the fact that Sully’s actor tended to improvise most of his lines. Baker meanwhile, is the cool, calm voice of reason. He waxes lyrical about the game’s design and set pieces while guiding an increasingly frustrated North through the various puzzles and traps. I urge you to watch the full video below, as it’s genuinely worth your time – if only to hear Nolan North brag every time he thinks he was particularly good in a scene. “This is not fun watching myself die all the time”, North exclaims at one point – but I honestly couldn’t disagree more. The two actors have such an obvious, easy chemistry, and watching them revisit such an important game in North’s career is a treat for any longtime fans of Uncharted.